In addition to NYC, Jersey City, and Newark the below municipalities have passed paid sick leave ordinances. This needs to be in effect come early January and each infraction could cost up to $2,000 in fines. The city council of East Orange passed a paid sick leave ordinance on September 8, which becomes effective 120 days after enactment. The legislation requires employers to give all full- and part-time workers paid sick time off. Businesses would be required to give all employees one hour of paid sick time for every 30 hours worked. Employers with fewer than 10 employees would not be required to provide more than 24 hours, or three full work days, of sick time per year. Those with more than 10 employees would need to provide 40 paid hours off. The ordinance also requires covered employers to provide written notice in English (and the primary language spoken by the employee if it is the primary language of at least 10% of the workforce) to each employee upon hire to include the right to paid sick time, the accrual rate, amount of paid sick time, terms of its use, right to be free of retaliation for requesting and/or using paid sick time. Employers must also display a poster in each business establishment. The city council of Irvington passed paid sick leave legislation on September 9, which becomes effective 120 days after enactment. Under the ordinance, private employers will be required to provide one hour of paid sick time to eligible employees for every 30 hours worked. Eligible employees include those working for a private employer in the township, for at least 80 hours per year. 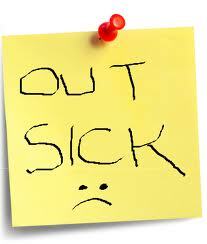 Employers with 10 or more employees are not required to provide more than 40 hours of paid sick time in a calendar year. Employers with fewer than 10 employees are not required to provide more than 24 hours of paid sick time in a calendar year except for employers who are child care workers, home health care workers, and food service workers – who are required to provide up to 40 hours of paid sick time. Full-time, part-time and temporary workers shall be counted. Employers must provide written notice in English (and the primary language spoken by the employee if it is the primary language of at least 10% of the workforce) to each employee upon hire and display a poster in each business establishment. An ordinance passed in Passaic on September 2, 2014, will require private sector employers to allow employees to earn an hour of sick leave for every 30 hours they work. The number of total days will vary by the type of employer: workers at businesses with 10 or more employees can earn up to five days a year; those with fewer can earn three days a year; and workers who come in direct contact with the public, such as in food service, daycare, or home health care, can earn at least five days a year regardless of company size. Workers will be able to use the leave to care for themselves or a sick child, sibling, parent, grandparent, or grandchild. This ordinance takes effect 120 days after it was enacted, at which point workers can start accruing leave. The Paterson city council passed a paid sick leave ordinance to provide private sector workers with one hour of paid sick time for every 30 hours worked. Workers at companies with 10 or more employees, in addition to child care, home health care, and food service workers will receive a minimum of five paid sick days a year. Workers at smaller companies will receive a minimum of three. The ordinance takes effect 120 days after its enactment on September 9, 2014. Lefstein-Suchoff CPA & Associates is committed to keeping your clients compliant with the local, state, and federal labor laws applicable to their businesses. For assistance with this or other tax or accounting matters please contact us at 201-947-8081 or 646-688-2807, or email us at info@bergencountycpa.com.